Texas Rustlers Guinea Pig and Small Animal Rescue - Is Adoption Right for You? Adoption of an animal through an organization such as ours is not for everyone. The adoption process takes time and effort and requires a demonstration of commitment by the potential adopter. 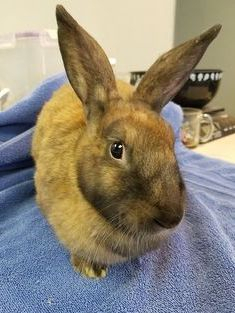 You want to offer a home for life to a piggy or bunny that has already been discarded once, sometimes more, and may have been neglected and / or abused. A guinea pig’s life span is around 5 to 7 years, and a rabbits' life span is 10 to 12 years. You want to make a positive difference in the lives of guinea pigs and rabbits by not supporting the industry that breeds animals for profit. You can visit Cavy Spirit's images of their Hollister Rescue to see where pet store guinea pigs come from. You want to make a positive difference in the lives of rabbits and guinea pigs by not supporting the pet stores that are in it purely for their profits and not for the well-being of the guinea pigs or other animals they sell. You can visit Cavy Spirit's Pet Store page for more information. You want to adopt a companion animal that is best suited to your home and family. Guinea pigs and rabbits all have different personalities, so we at Texas Rustlers do our best to find an ideal match for you and your family. Appropriate habitats that offer enough space to maximize your animals’ enjoyment and quality of life. 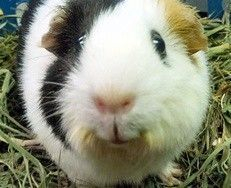 A good quality diet, which includes hay, pellets, fresh vegetables and supplemental vitamin C.
Veterinary care by a vet who is qualified and experienced in guinea pig or rabbit care. You want a rabbit or guinea pig RIGHT NOW. Although the adoption process can be quite quick, it may also take several weeks depending on when you contact us. Adoptions are done on Saturdays. You want a single piggy to live by itself. 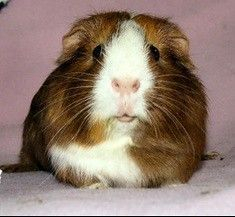 All of our guinea pigs are adopted in pairs (or trios) or as a friend for an existing piggy already in your home. Guinea pigs are social creatures and enjoy the company of each other. They are thigmotactic, which means they like to cuddle up to others of their kind. You want to keep a piggy or bunny in a smaller cage than recommended. Exercise is essential for a happy, healthy animals! We have seen first-hand the change in the disposition of a piggy moved from a small cage to a large environment. The change is dramatic and a joy for the owner! They will start squeaking with glee, running laps and “popcorning” (jumping in the air with delight)! You want to adopt a pet for a young child and expect to have no or little involvement. Guinea pigs and rabbits are fragile animals. Young children must be supervised when holding them to make sure they do not squeeze them too tightly or drop them on the ground. In addition, young children cannot be expected to take full responsibility for their pets. A mature adult must help in their care to ensure adequate food and fresh water is supplied daily, a clean enclosure is maintained, and any illness is detected early. You consider guinea pigs or rabbits to be “starter” pets. To care for a rabbit or guinea pig correctly often requires more work and knowledge than a cat or dog – they are by no means low-maintenance animals, and should not be viewed as such. Guinea pigs and rabbits are adopted as family members and should NOT be considered less important than a cat or dog.